Product #46624 | SKU 16280 | 0.0 (no ratings yet) Thanks for your rating! The Guitar Wall Mount from K&M is a screw-on type wall mount that accommodates a wide variety of guitar shapes, making it suitable for use in a retail guitar display, or for the musician with a large collection of guitars. 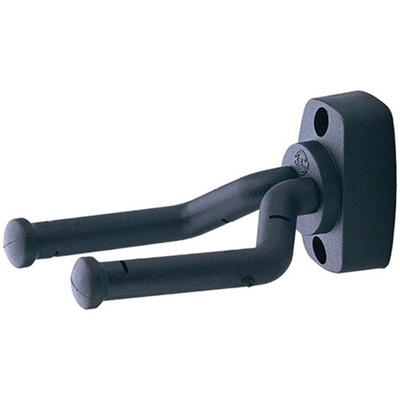 The mount features flexible support arms for use with various guitar models. The support arms are covered with non-marring rubber to help protect the instrument.